Ali Cross is a young adult novelist who also writes books under the name Alex Banks for middle-grade children. 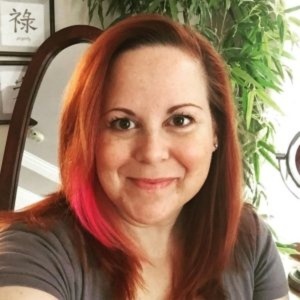 Her young adult books include the Desolation series, Become, Desolate, and Destined, and the Desolation Diaries series, Personal Demons, The Seer, and Tattered Dreams. She wrote a stand-alone science fiction romance Blood Crown. As Alex Cross she wrote Jump Boys: SOS and The Swift. Cross and her husband are the parents of two children. She is a member of The Church of Jesus Christ of Latter-day Saints. This page was last edited on 5 June 2016, at 22:39.